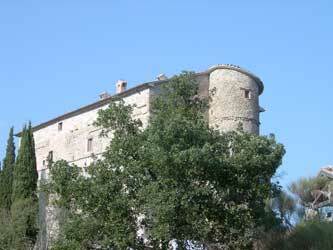 The ancient Rocca d’Aries is situated in a panoramic and strategic location about 6 km far from Montone. The etymology of its name is not clear: someone believes it was founded by Darius, a Persian name; others think the name comes from the Latin dares = Darete, Aeneas’ companion; others even think it comes from Aries = Ram = Montone. The tradition says that the Fortebracci family started from this fortress to build its castle and the city of Montone.